This full-page illustration is from Page 73 of 1929's The New Human Interest Library. 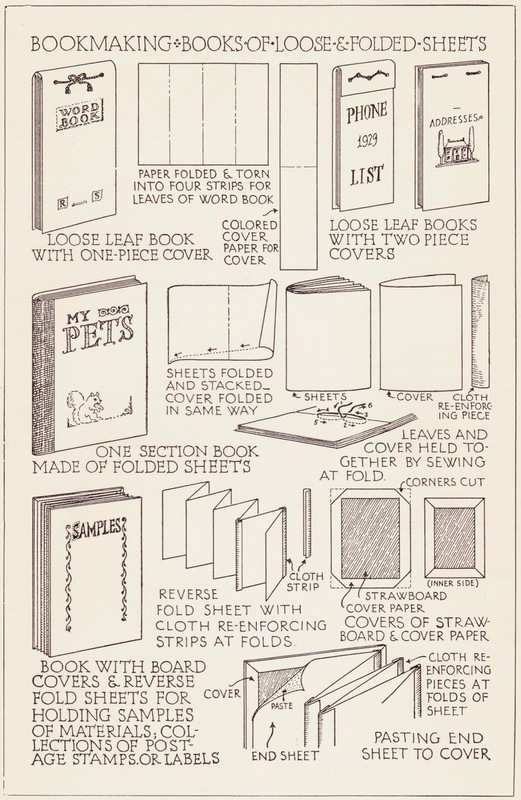 We're still in "The Do-It-Yourself Book," in a chapter titled "Bookmaking and Supplementary Projects." So, this time around, we are learning to make books. The introduction, on the page that precedes this one, states: "Let us make three small books of single sheets, fastened and held together by cords. Our first one will be a word book, the second a list book, in which we may keep lists of telephone numbers, and the third a book for addresses." Necessary supplies for this project include paper, a heavy darning needle, mercerized cotton thread, and book cloth. Book front & back: "Love a Llama"